or dogs that are getting up there in age. way to keep your little furry pal happy. these little steps-just for safety's sake. with my momentum, making me trip again. against a piece of furniture. there's something to be said for Doggy Steps. to her blanky on the couch without a problem. if a blind dog can do that, who am I to complain about a broken neck? 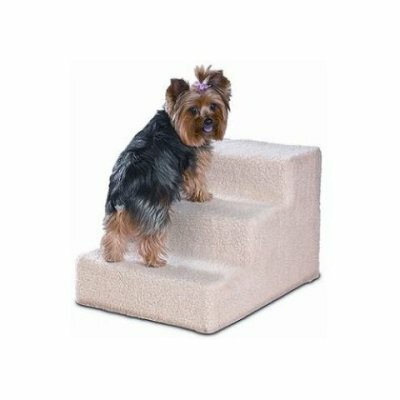 You can get Doggy Steps here.